The family events held for our students and their families will be run by volunteers from the grade assigned to that event. The Home and School Chairperson for this event will assist the grade the planning and on the day of the event. 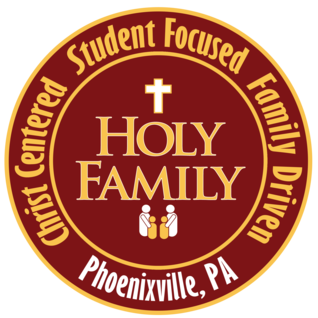 If you are interested in being a chair person or would like to volunteer please contact has@myholyfamilyschoo.org. You do not have to be in the assigned grade to chair the event. We would love to have you join our team! Invite the children to meet their new teacher, drop off supplies and catch up with friends before the beginning of the school year. A fall event to celebrate the season. Description: A winter event to celebrate the season. Description: This event showcases the different countries and cultures of our families. Description: Ice Skating at Center Ice in Oaks for the entire school. Description: A special event for the Mother and Sons to enjoy. Description: A special night for Dad and his daughter(s). Description: School wide lawn party to celebrate with the children and their families. Description: A movie day for the school to help celebrate the end of the year. Kindergarten will run the elementary movie and 5 th grade will run middle school movie.